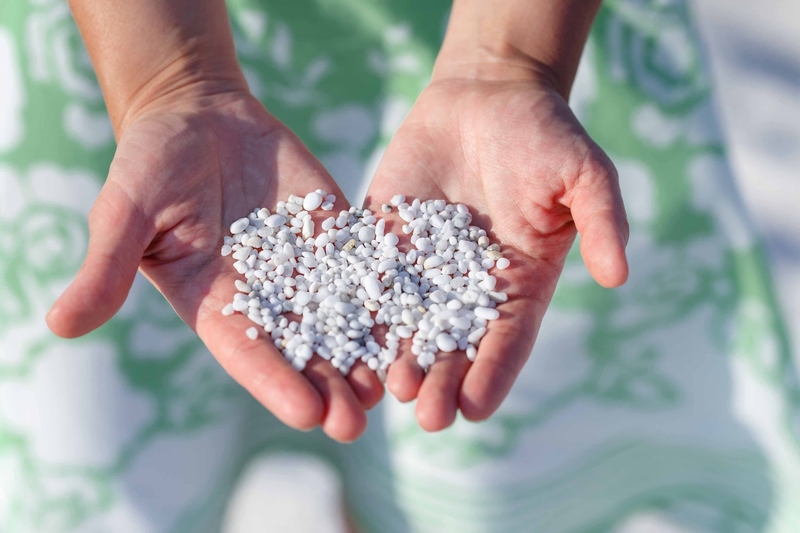 Various hundreds of metres of turquoise sea and grains of ultra-thin quartz, similar to grains of rice, in a beautiful palette of colours ranging from green to white and delicate pink. Is Arutas is one of the jewels of the marine area of the Sinis peninsula, in the Cabras territory, only a little over ten kilometres to the north of the inhabited town. This beach is perfect for those who love to relax in a dreamy landscape: to reach it, you must cross the village of San Salvatore, famous for its Corsa degli Scalzi (Barefoot Race) and for being the scenario of several Spaghetti Westerns. Do not forget to carry a camera and a snorkelling mask with you: the sea bottom is deep right from its first metres, and takes on an intense green and azure colour that gradually turns into blue. The clear waters allow for a sharp view of the marine species that inhabit the area. You will see schools of confident little fish that will shyly swim near the posidonia formations, and discover submerged natural treasures. 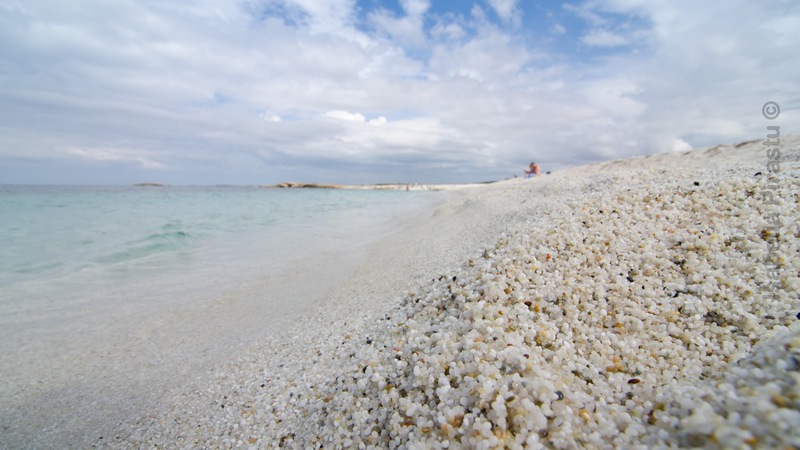 In some of the small bays of the long beach, you can admire segments of coast with sand made up of ultra-white rice grains and crystal-clear pure water. 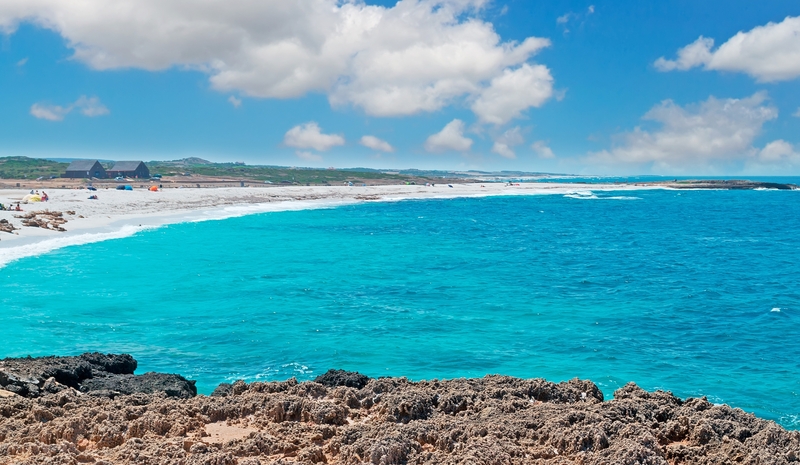 Like the entire coast of this part of the Gulf of Oristano, this is one of the most popular beaches among windsurf and kite surf aficionados. You will find parking areas, kiosks/bars, and a camping area. Slightly more to the north of Is Arutas, there is a “twin” jewel: fine golden sand with tiny pebbles of white and pink quartz characterise Mari Ermi, whose multiple ever-changing hues cover two and a half kilometres, all the way to Porto Suedda, where rocks appear, hiding another small beach. 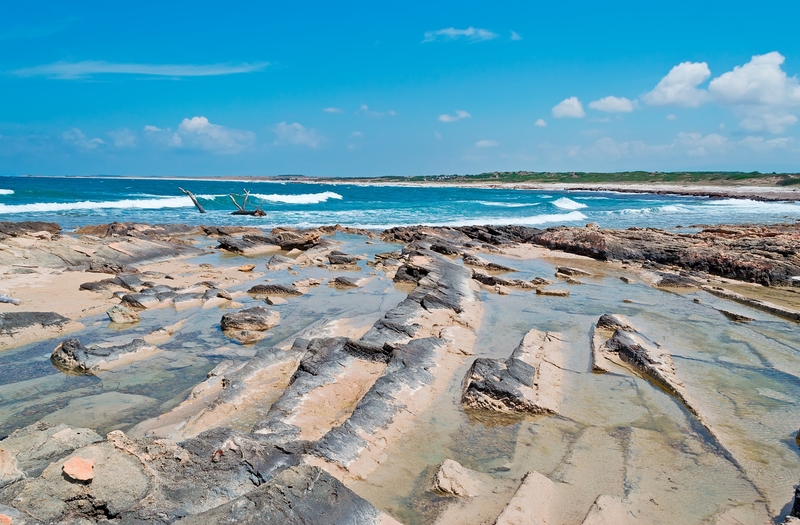 In front, you will notice the characteristic shape of the Mal di Ventre Island, a protected natural paradise where sea turtles lay their eggs and in whose depths several wrecks of different time periods abound. 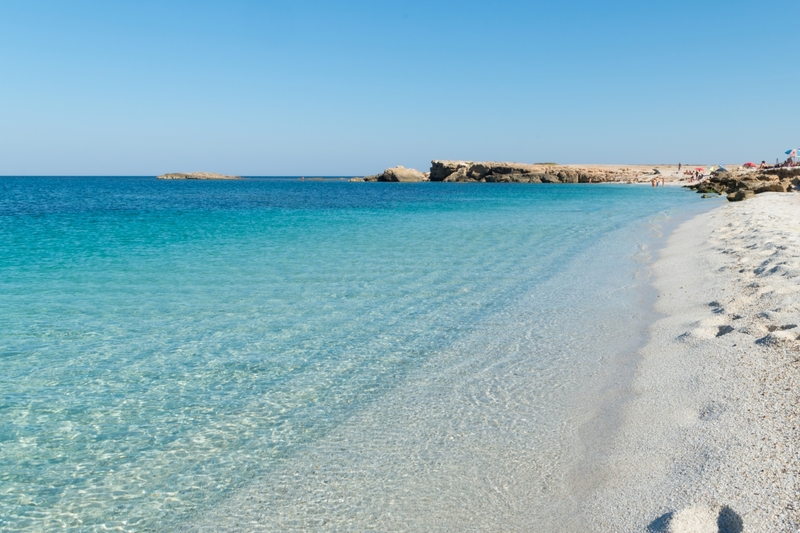 Going south, before the ancient town of Tharros, where you can combine a day at the beach and a fantastic archaeological visit, you will find the Maimoni beach, it, too, with light sand sparkling with quartz fragments. From Oristano, go out in the direction of Cuglieri, to the first intersection near the Santuario della Rimedia, and turn off for Tharros over the elevated section of road and follow the signposts for Tharros. After about 15 kms, at the junction for San Salvatore turn right and continue for 1.6 kilometres, then turn left, and continue for 6 kilometres before turning right onto a dirt-track road going along for 200 metres and arriving at the destination.